CHICAGO--(BUSINESS WIRE)--Nov. 8, 2017-- Debra A. Cafaro, Ventas, Inc. (NYSE: VTR) Chairman and Chief Executive Officer, recently received three prestigious leadership recognitions. The longest serving female CEO in the S&P 500, Cafaro was named one of the Top 100 Best Performing CEOs of the year by Harvard Business Review, one of the Most Powerful Women in the World by Forbes Magazine, and one of 11 leading female CEOs in commercial real estate by National Real Estate Investor. Cafaro has been at the helm of Ventas since 1999, expanding the healthcare real estate investment trust’s (REIT) market capitalization to approximately $26 billion from $200 million at the beginning of her tenure, and delivering a compound annual total shareholder return (TSR) of 25 percent since January 1, 2000. 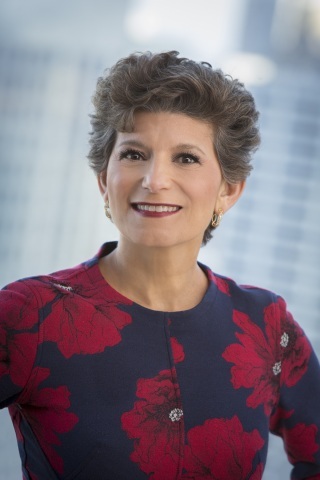 One of only 23 CEOs recognized for the fourth consecutive year, and one of only two women, the Harvard Business Review Best Performing CEOs list ranks executives on their contribution to long-term success. On financial performance alone, Ventas ranks in the top four percent (4%) of all companies measured, listed at #32 of almost 900 firms – highlighting the superior and consistent performance of Ventas during Cafaro’s 18-year tenure. As one of Forbes Magazine’s 100 Most Powerful Women in the World for the second year, Cafaro is one of 19 business leaders recognized for navigating their companies through a rapidly changing business landscape and driving social and technological changes as well as developing opportunities for other women to follow in their footsteps. The National Real Estate Investor listing identifies 11 leading female CEOs in commercial real estate, highlighting women executives leading large enterprises in the commercial real estate industry.